Ahavat Yeshua has a plurality of leadership structure where all its elders are also viewed as pastors. The other elders are: Marcellus Powell and Michael Rudolph (Elder at large). Upon becoming a believer in Yeshua in early years of college, Ralph became very involved in campus outreach through a Christian Fellowship Campus Ministry that was founded by a Jewish believer in Yeshua. Through this Jewish believer, Ralph was introduced to Beth Messiah Congregation of Rockville in the early 80s. He met his now wife Sandra Finley during that time and was married under the chupah by Dan Juster. He now has 4 children: Jonathan and Rebeckah who are in college and Benjamin and Joshua who continue their home school education. In the early days of Beth Messiah, he took many courses under what was then Messiah Yeshiva and later renamed Messiah Biblical Institute. By the mid 80s he came under the oversight of Michael Rudolph and worked by his side serving as a Deacon/Shammash to help start Ahavat Yeshua in Washington DC. In subsequent years he was raised up as an elder and then later ordained as elder/pastor. 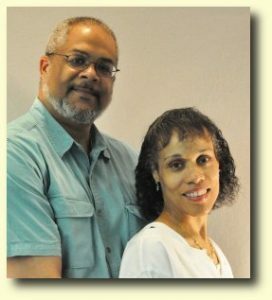 He has served as the teaching pastor for over 15 years. He also works in a tent maker capacity as a Software Engineer for a local science company. He holds a Bachelor of Science degree in Electrical Engineering from George Washington University (1982) and has also completed BS studies in science at Hampton Institute (now Hampton University). He currently lives in Dale City, VA and is president of his community Home Association.